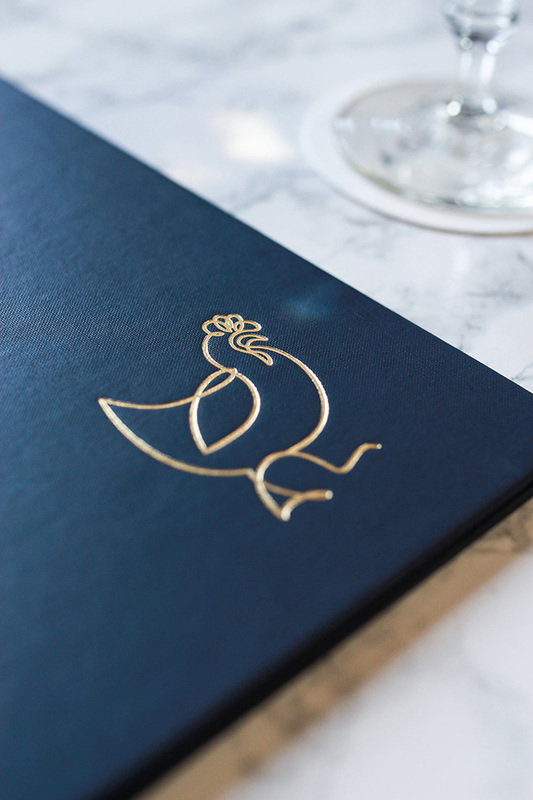 Who knew that a hen could look so sophisticated? 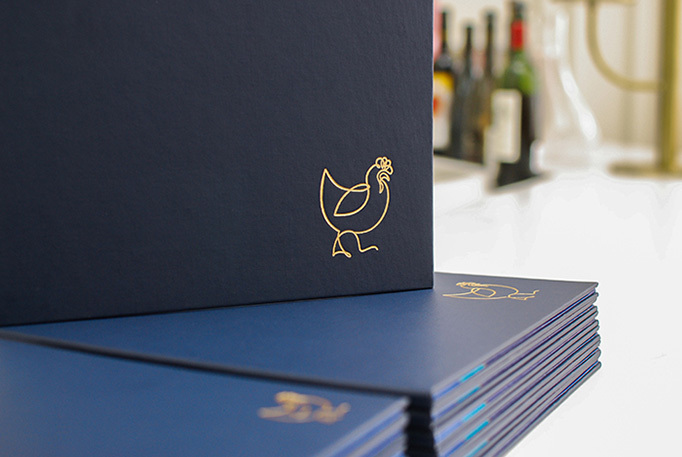 As a line drawing, this hen looks great foil stamped on the cover of the menus and as a large background on the inside. 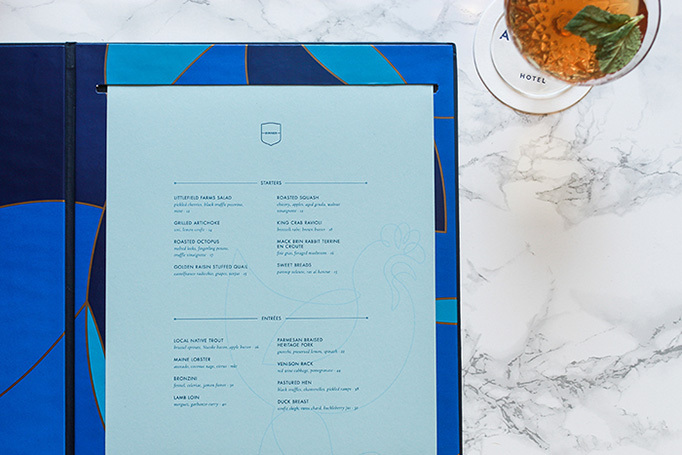 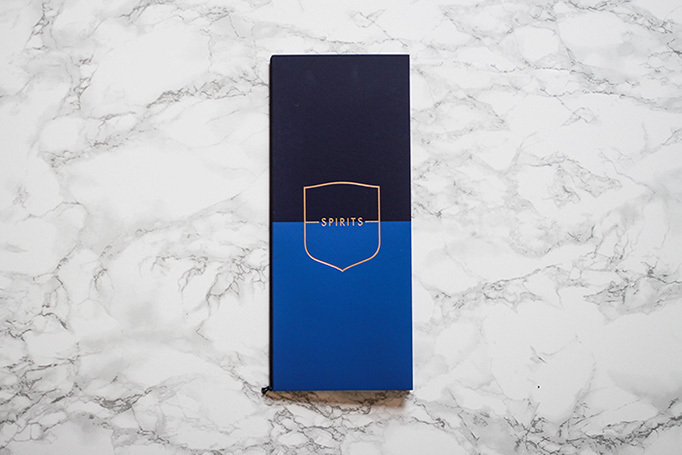 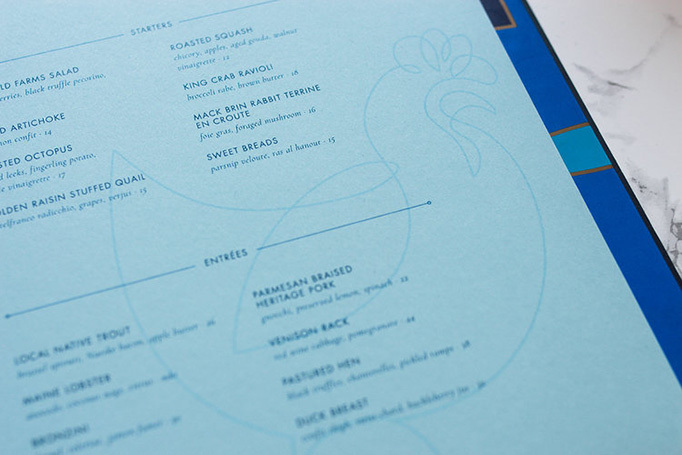 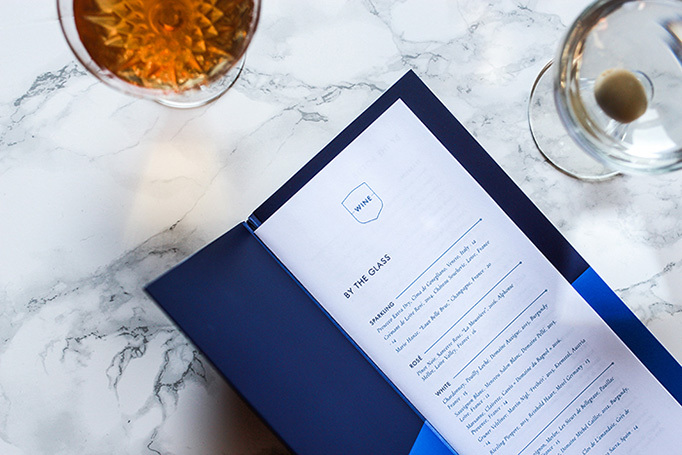 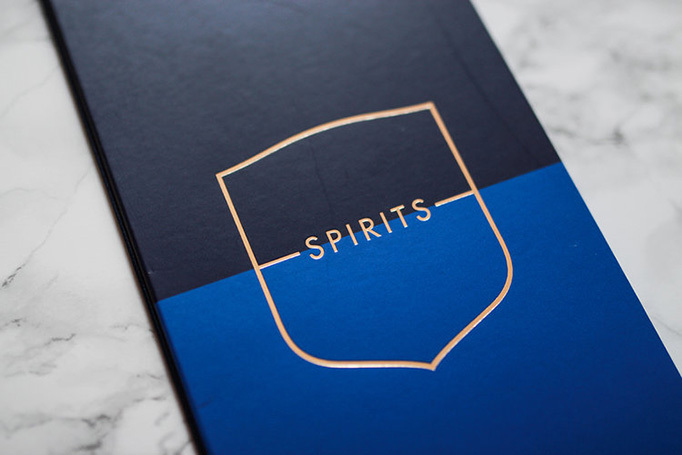 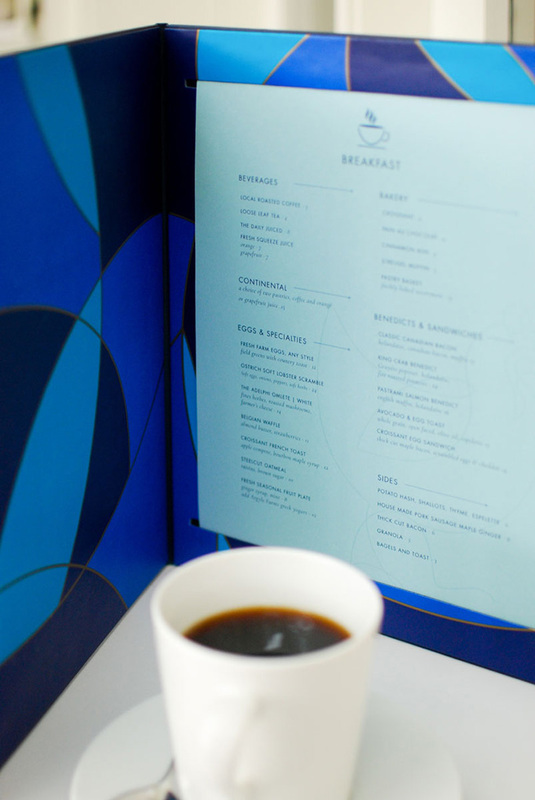 A minimal layout and simple typography make for a great set of menus.